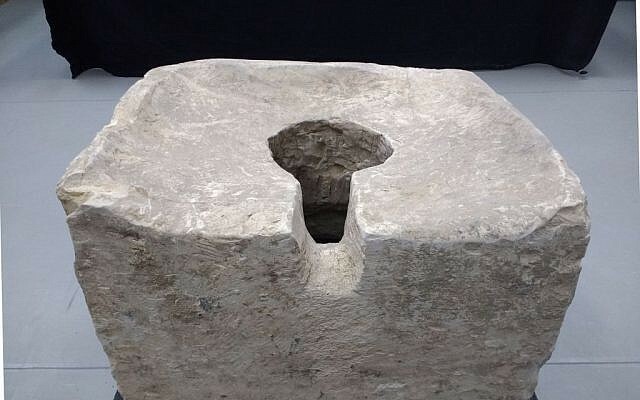 A 2,700-year-old crapper is hardly the sort of object one would generally expect to be proof tying archaeology to the Bible. 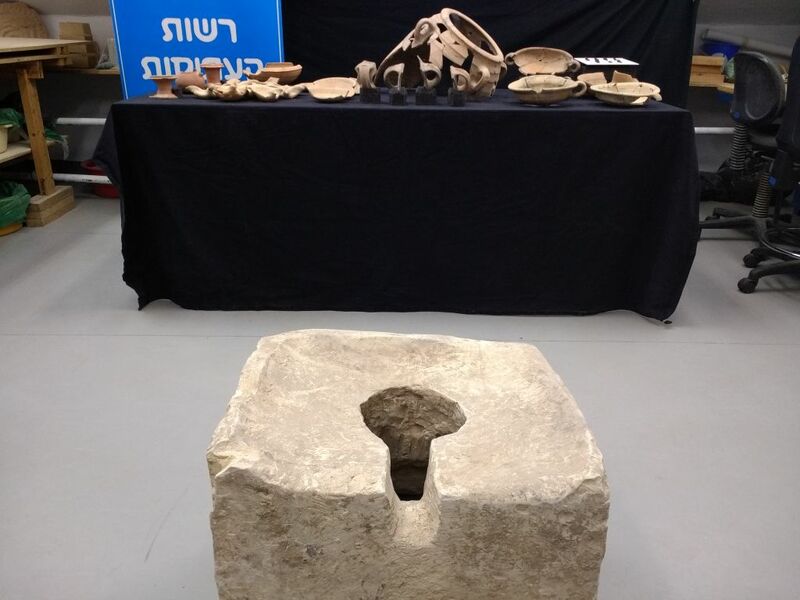 But archaeologists digging at Tel Lachish, a major city in the Kingdom of Judah up to its destruction in 701 BCE, point to the toilet as evidence of religious reforms carried out by the biblical king Hezekiah in the 8th century BCE. 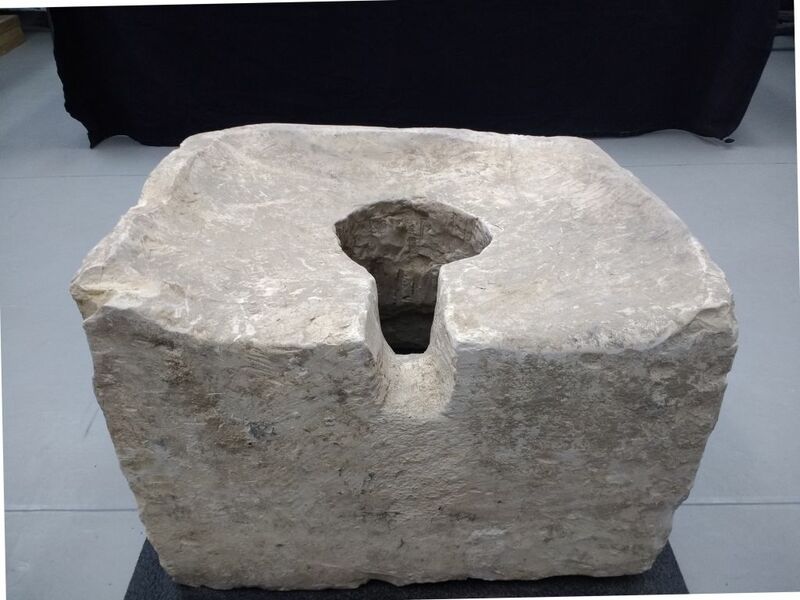 The limestone commode was found inside a chamber of the Iron Age city’s monumental six-chambered gate that served as a shrine. 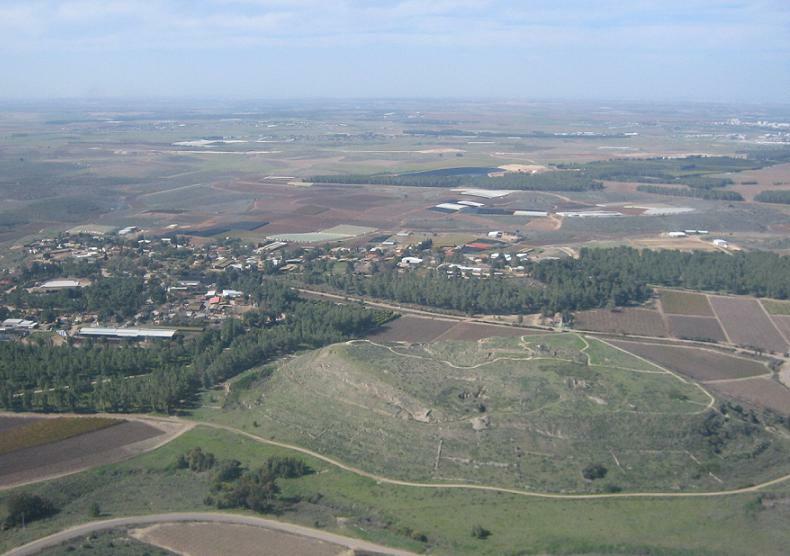 At the time, Lachish was the second city of the Judahite kingdom, whose capital was Jerusalem. The gateway would have served as a meeting place, courthouse and administrative center. Israel Antiquities Authority archaeologist Sa’ar Ganor, who headed the excavation of Lachish’s massive portal (the largest yet excavated in the region), said Wednesday that archaeologists had found small altars whose horned corners had been smashed, and in the corner of the room a toilet had been erected. It would appear, Ganor argued, that Hezekiah’s modus operandi when he worked to centralize religious worship in Jerusalem also involved turning the shrine into a privy. “The cult worship was eradicated, here’s the evidence, smashing the altar horns. But not only was it annulled, in Lachish they put in a throne, the same stone you see here,” Ganor said, pointing to the stone toilet. Phosphates, a telltale marker of ancient middens, weren’t found in laboratory tests of the soil beneath the john, suggesting its defilement of the holy place was largely symbolic. 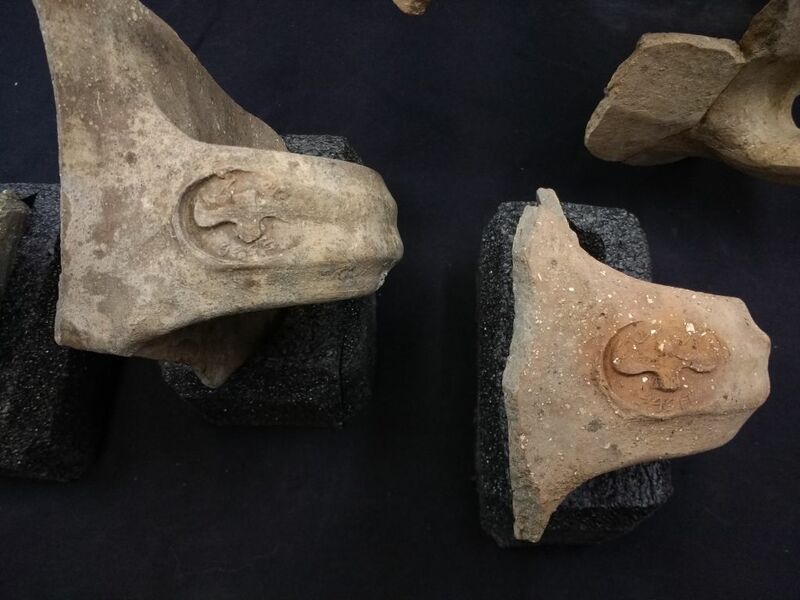 Seal impressions on pot handles found in another chamber of the gatehouse bear Hezekiah’s royal mark, with ancient Hebrew letters reading “To the king of Hebron,” and another with the name of Naham Avdi, a high-ranking administrator. They’re clear evidence, Ganor said, of centralized governance being conducted at the gate. The discovery outside the Old City of Jerusalem of a seal impression bearing Hezekiah’s name and a similar symbol as those found in Lachish was announced last December. It’s unclear which deities were worshiped at the gateway shrine at Lachish, but it “wasn’t kosher,” Ganor quipped. The archaeological evidence points to the holy site being a relatively minor installation. Terracotta lamps, plates and offering stands were found inside, but there was nothing pointing to animal sacrifice. 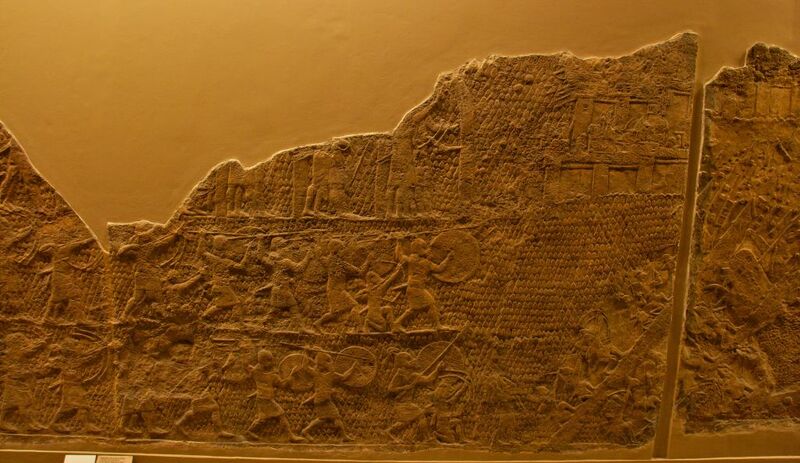 The gateway itself was completely destroyed by Assyrian King Sennacherib’s army in 701 BCE, in a siege described in the biblical account and in a monumental relief from the Assyrian capital of Nineveh (now at the British Museum, but a replica is on display at Jerusalem’s Israel Museum). Assyrian and Judean arrowheads were found in the soil from the layer of destruction. 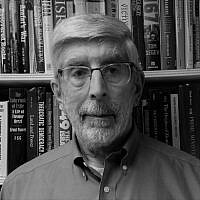 “Everything connects in a wonderful way to Assyrian sources… and the Bible as well as to the archaeological evidence,” he said. Ganor said he couldn’t tell when the use of the shrine began, but it ended with the city’s conquest.